Summary: Dean is a player with a 'love 'em and leave 'em' attitude. Castiel is an autistic college dropout who works at an ice cream shop to pay for his mother's hospital. They meet one fateful night, and everything begins to change. Can Cas and Dean show each other what love is? Will they be able to help each other, or will they only end up hurting each other? 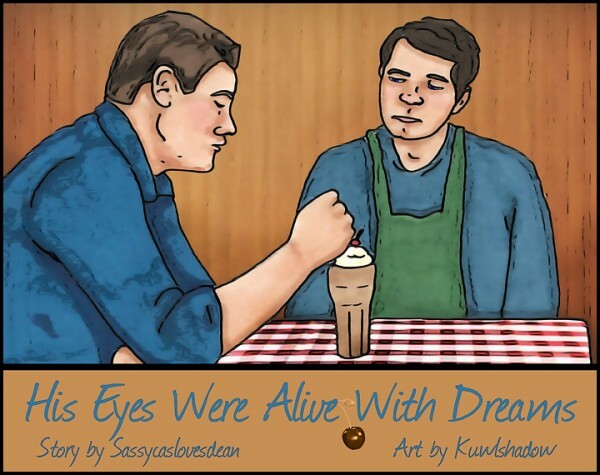 Artist Notes: This is an interesting SPN AU story written by sassycaslovesdean that was written for the dean/cas summer minibang on tumblr. To read the story click the link above.